Welcome to day 2 of filming on episode 1×02 of Shadowhunters! 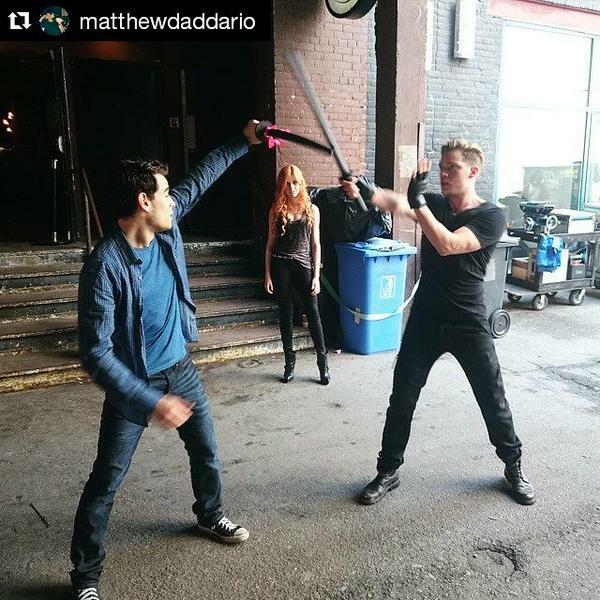 Wednesday’s photos brought us shots of Jace, Alec and Isabelle on the “hunt,” as well as some serious seraph blade training with Katherine McNamara, Dominic Sherwood and Alberto Rosende. We also got another cute Sizzy picture and Clary working on Simon’s van. 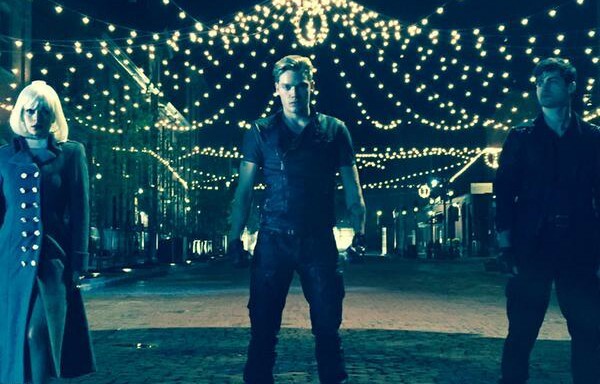 Shadowhunters films through October in Toronto and will premiere in early 2016 on ABC Family. Is Isabelle’s hair blonde in the show??? No, that’s just the wig they’ve given her for the Pandemonium demon hunting scene. I don’t think so, I’m pretty sure that’s from the beginning of the book when she’s in a disguise at Pandemonium. In the other pictures I’ve seen from the set she has dark hair. No, it’s a wig she is wearing. She still has black hair in Shadowhunters. It’s probably a wig to serve as a decoy. It may be a minor detail, but the wig really annoys me. I just don’t think it’s the kind of thing Isabelle would wear. Sarah and Dom are adorable! This is looking better and better! Huzzah!! !